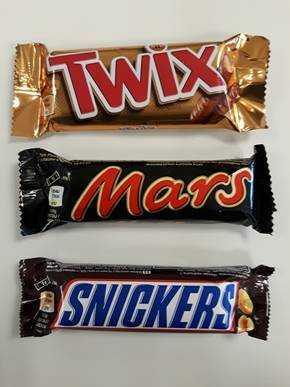 Persons suffering from food allergies have been warned by the Environmental Health Directorate not to consume popular Mars, Twix or Snickers chocolates from particular batches since their label is not in an official language and therefore the allergens mentioned may be unrecognised. It said that Twix contains Wheat, Milk, Soya, Hazelnuts, Almons, Barley and Oats which are indicated on the label but not in the official language. Similarly, Mars contains Milk, Barley, Soya, Egg, Peanuts and Hazelnuts and Snickers has Peanuts, Milk, Egg, Soya and Hazelnuts. In a statement reacting to the warning, official distributor Francis Busuttil & Sons said that the Mars, Twix and Snickers bars officially distributed by the company "contains all the necessary allergens declared on the label in English language." "Consumers who are allergic to any type of ingredients are advised to read the labels on the products before consuming," the distributor said. They urged anyone with questions or concerns to contact info@fbsmarketing.com or call on 21484492/3/4.